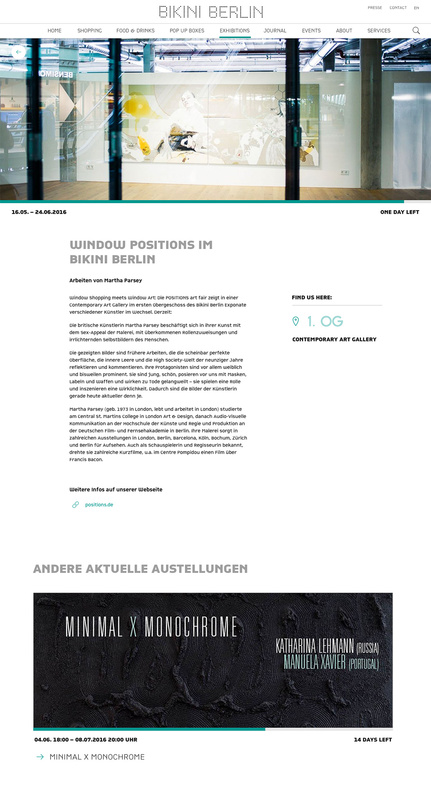 Creating a webspace for the first concept shopping mall in Berlin. 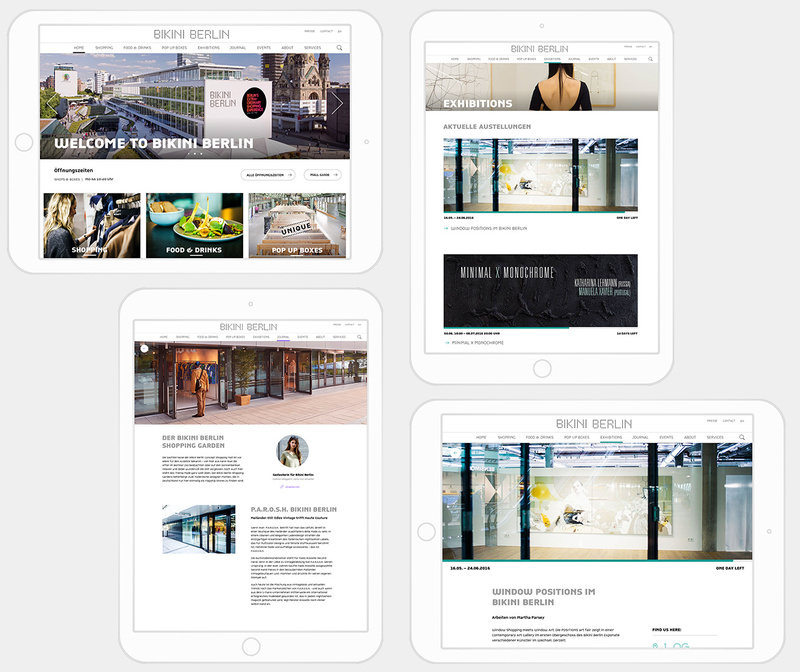 Bikini Berlin differentiates itself from other shopping malls; including exclusives stores with art exhibitions, events, pop up stores, high fashion and extraordinary food. 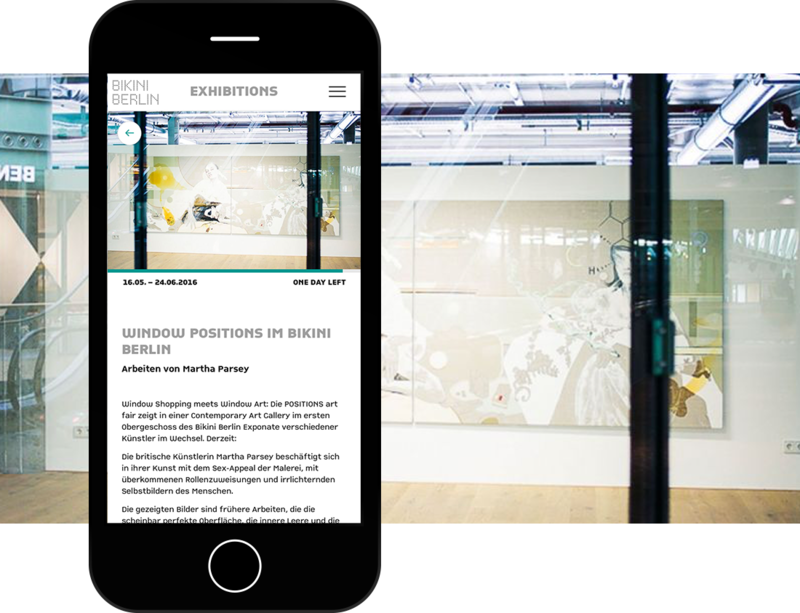 Alongside this, a cinema and the 25hours Hotel Bikini Berlin creates a full service world of amazing experiences which the customer doesn’t want to leave. 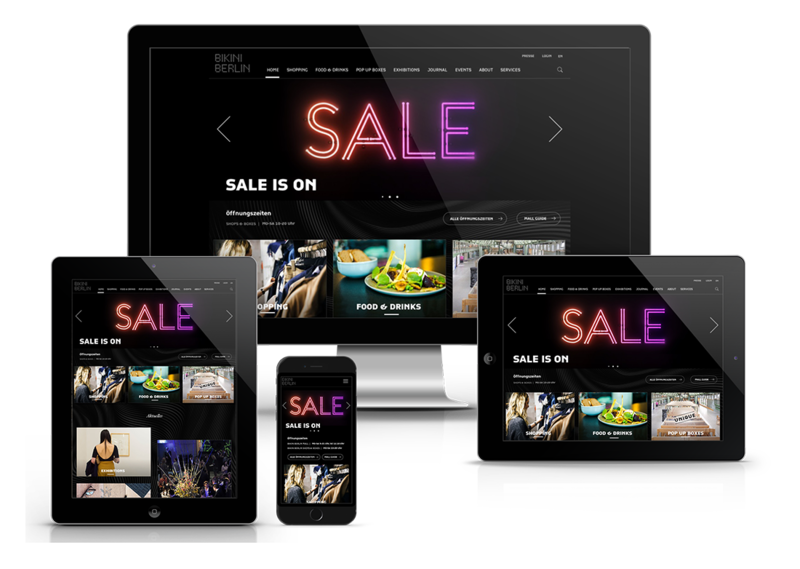 The primary challenge was to get all types of information together in a simple way, user centered for customers and partners, constantly fed by new content.